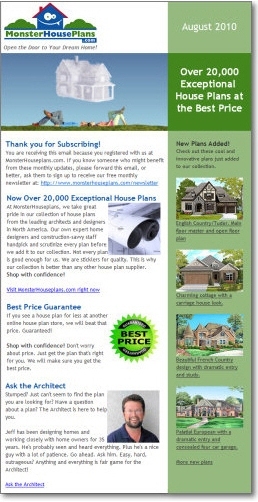 Subscribe to the MonsterHousePlans.com Newsletter Now! How would you best describe their interest? MonsterHousePlans.com does not share your email address with 3rd parties. After you subscribe, you can modify/update your subscription to this newsletter via the "Manage Your Subscription" link in the footer of the newletter.